Terrestrial animals found in the island were all brought from other countries since indigenous species did not exist in the island. Mongoose was the first animal, brought to eliminate the menace of rats and snakes. However, over the years they multiplied so largely that they became irritants. 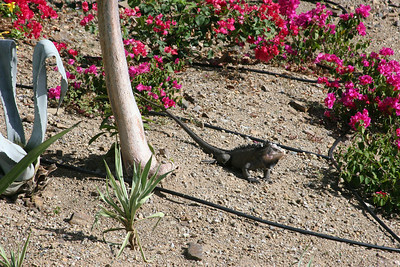 Iguanas were also imported into the island and are now scarce as they are seen only as pets in resorts. Marine mammals are many, such as the dolphins, porpoises and whales, which are seen here during the migration period from December till May. 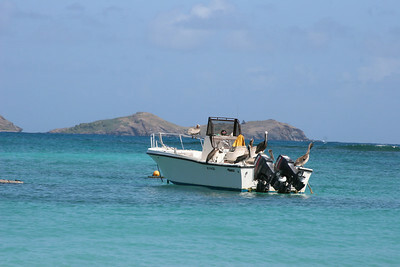 Turtles are a common sight along the coast line of the island. 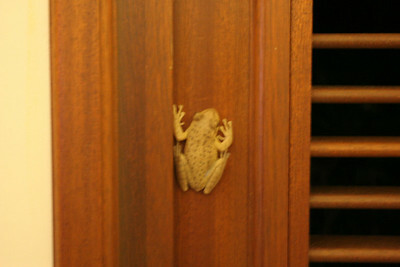 They are a protected species and in the endangered list. It is stated that it will take 15–50 years for this species to attain reproductive age. 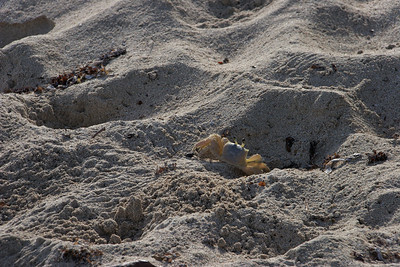 Though they live in the sea, the females come to the shore to lay eggs and are protected by private societies. 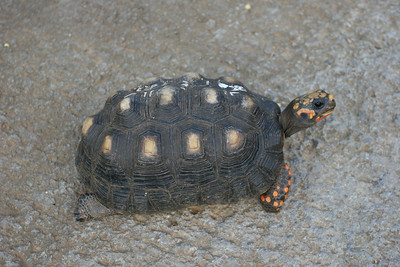 Three species of turtles are particularly notable. These are: The Leatherback Turtles which have leather skin instead of a shell and are the largest of the type found here, some times measuring a much as 10 feet (3.0 m) (average is about 5 feet (1.5 m)) and weighing about 1,000 pounds (450 kg)-Jelly fish is their favourite diet; the Hawkbill Turtles, which have hawk like beaks and found near reefs, generally about 3 feet (0.91 m) in diameter and weigh about 130 pounds (59 kg) and their diet consists of crabs and snails; and the Green Turtles, herbivores which have rounded heads, generally about 3 feet (0.91 m) in diameter and live amidst tall sea grasses. 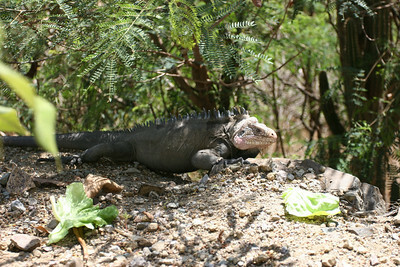 The island has 12 reptile and amphibian species of which two (EVRI) are threatened. Avifauna in the wild, both native and migrating include brown pelican along the shore line, magnificent frigate birds with long spans of up to 6 feet (1.8 m), the green backed heron, the snowy egrets, the kingfisher; the Bananaquits; broadwinged hawks; two species of hummingbirds, the green throated Carib and Antillean Crested Hummingbird; two species of doves, the Zenaida doves and common turtle doves.